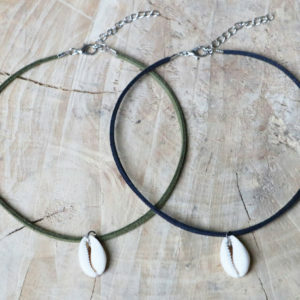 Cute Suede Choker with a Gold Cowrie Shell! 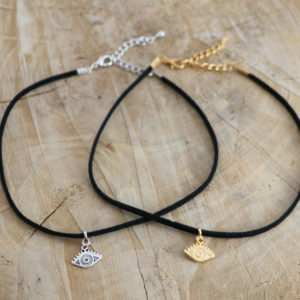 Cute Suede Choker with Evil Eye Pendant! 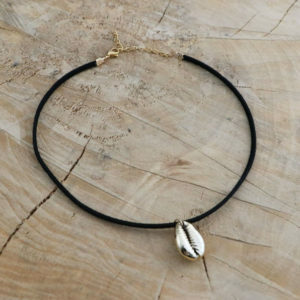 Cute Seed Bead Choker with tiny Heart Pendants! Adjustable in size via the attached extension chain. 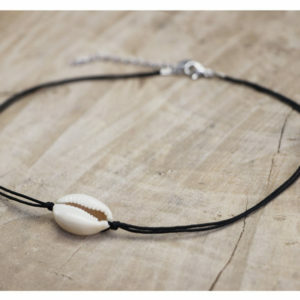 Cute Single Cowrie Shell Thread Choker! Available in multiple different colors of thread. 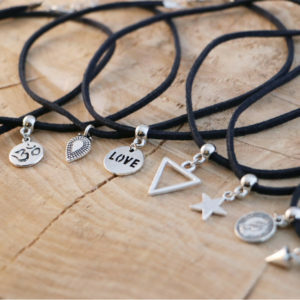 The choker is adjustable in size. 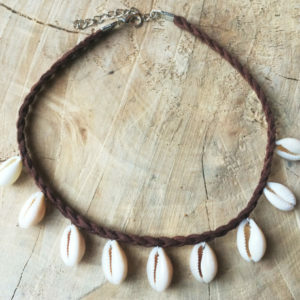 Cute Natural Cowrie Shell Choker! 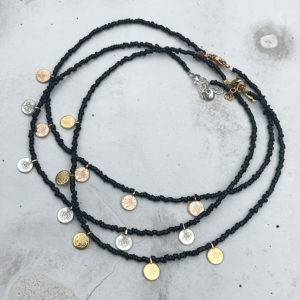 Cute seed bead choker with tiny coin pendants! 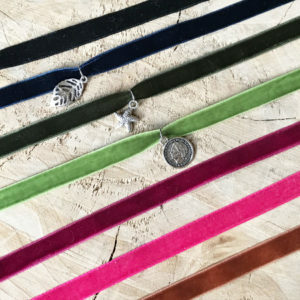 Thin cute suede choker with a charm of your choice hanging on a silver bail bead!